From time to time we run promotions where we give Borrowers free driving credit to take a trip – this is at our cost, and you'll still receive income as normal. On our basic Borrowers’ plan, there are no membership or application fees, so people can try us out risk-free. We put stickers on your car, so people can find it on the street and know it's available. Making sure your car's profile is as appealing as possible - use a clear photo that will really make your car stand out, and write a clear description that highlights your car's best features. Click here for more tips on creating the perfect profile for your car. Adding a profile photo of yourself - this helps build community and trust, and could also boost your earnings: our data shows that owners with a profile photo earn more than those without. Sending a thank you message to your borrowers - after each trip, send the borrower a message thanking them for borrowing your car and ask them to leave you a thumbs up review if they enjoyed it. Having good reviews will make your car more appealing to future borrowers. 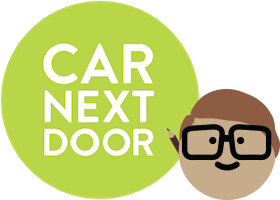 Inviting people to join Car Next Door - For anyone who signs up and starts to use Car Next Door using your invite code, they will get credit to try us out and you will also be rewarded with credit. Visit our Invite a Friend page for details. Telling people about neighbour-to-neighbour car sharing - word of mouth is one of the biggest ways we get new borrowers so the more people you tell about it the further the word will spread! Below is an example of a flyer we've found to be effective (it looks scrappy but we've found flyers like this perform better than glossy marketing brochures). Using a permanent marker or texta, write up a blurb. We recommend text like: 'Rent my car! I don't use my car much and it felt wasteful, so now I'm sharing it on Car Next Door. You can use it to get around cheaply and conveniently. To rent it go to www.carnextdoor.com.au and become a member - it's free to join!'. Add the details, including your hourly and daily rates, the street and suburb where your car is parked, and your first name. Drop them in letterboxes in the streets around you and put them up on noticeboards and places with lots of foot traffic, e.g. around train stations in your area. In your text message, you said there were instructions on posting to Facebook Marketplace. Nothing here!